A warm summer day. Not a cloud in the sky. After dinner Judy and I go for a walk on the Rail Trail. Our dog Matika is excited by the prospect, having been cooped up in the house all week. She bounds ahead as we amble along the path. Crickets, the smell of cow manure, and a low-hanging sun that sets the surrounding verdure aflame: Vermont at the end of the day in late August. I look around for blue asters – that unmistakable indicator of the season coming to an end. I don’t see it. Instead I find Queen Anne’s lace, bladder campion, and a few other wildflowers that have filled the fields and lined pathways all summer long. 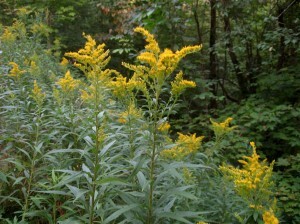 Goldenrod is in its glory, of course. It’s that time of year. When the trail enters the forest, I sense the air getting warmer. It’s more humid, actually. Both Judy’s eyeglasses and mine fog up. And the mosquitoes come out. No matter. We keep walking. Having broken a sweat I suggest that we turn around. Judy wants to go a little farther. 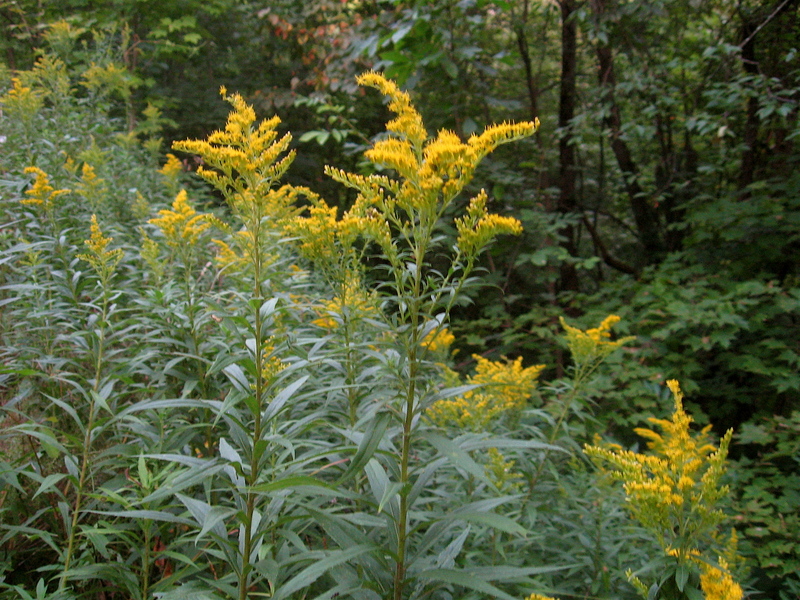 We go as far as the cluster of houses just beyond the wild, wooded section of the trail. That’s when I find a patch of blue asters barely discernible in the fading light. Yeah, the season is winding down. On the way back to the car, we spot an owl flying low through the dark woods. It lets out a high-pitched screech after landing on a limb. In the semidarkness all we can see is its silhouette, yet the way that stealthy predator dips its round head is unmistakable. The owl flies off silently into the night. We catch a sliver of bright orange light on the western horizon while finishing our walk, then relive some of the highlights of our grandkid’s visit as we drive home. It all happened so quickly. 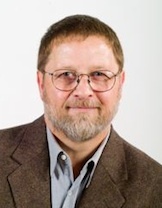 For ten years Judy and I have had our grandkids stay with us for several days during the summer – no parents allowed. This year we decided to change the game a bit. We would pack up all six of them, along with the necessary gear, and take them camping. But a rainy forecast nixed our plans so we opted for the next best thing. We rented a primitive cabin in the woods and took them there instead. No electricity, no running water, and we didn’t have a chance to check out the place ahead of time. It was a risk to be sure. The kids were excited when we got there. 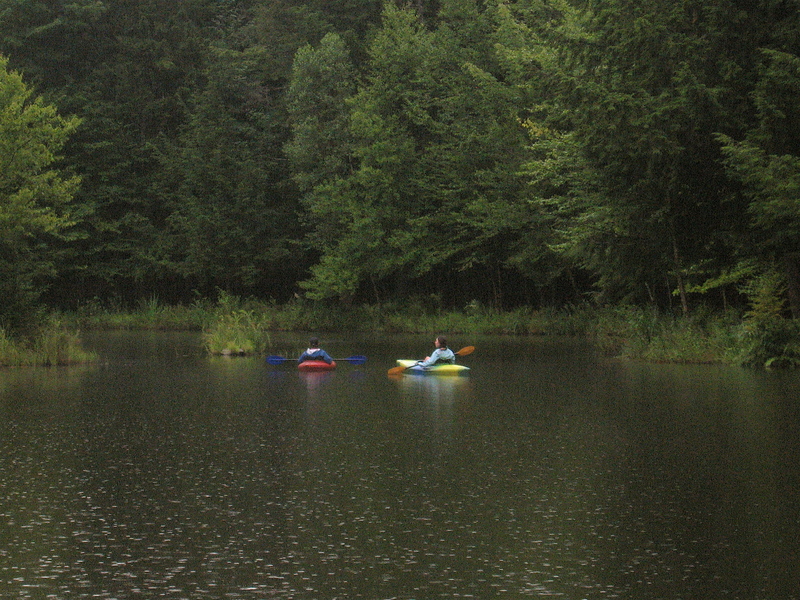 The cabin overlooked a 2-acre pond. We had it all to ourselves. After helping Judy and I haul food and gear into the cabin, they gravitated to the water. The older kids kayaked while the younger ones fished. Then they swam out to the floating platform to play. A light rain fell but they didn’t care. We ate dinner by candlelight. Judy played charades with the kids while I cleaned up. Some of the kids slept with me in the loft. The others slept with Judy in the bunkroom. Rain pelted the cabin’s metal roof that night, assuring Judy and I that we’d made the right choice. The next day the rain let up so we all went hiking. That evening I built a campfire in the fire pit next to the pond. After dinner, when it grew dark, we roasted marshmallows and told stories. It wasn’t easy getting them to settle down and sleep that night. After playing on and around the pond in the morning, we packed up and left just as it started raining again. Everyone was glad to take a hot shower when we got home. All the same, the kids want to go back there next year. It wasn’t what Judy and I had planned but it worked out better than we could have hoped. The kids took to the natural setting as if they had been born to it. One could make a strong argument that all kids are. 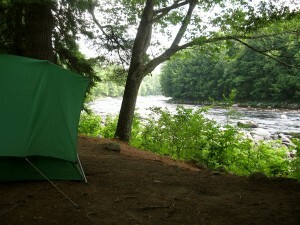 Yesterday morning I awoke to the sound of the Sacandaga River flowing southward just a few yards from my tent. As I broke camp I marveled at how much of the Adirondacks I’ve seen during the past 14 months while promoting my book, The Allure of Deep Woods. I’ve visited dozens of stores in as many towns, sometimes doing readings or signings. I’ve driven hundreds of miles inside the Blue Line, crossing my own tracks more than once. The task has given me a different perspective on the Adirondack Park, to say the least. A couple hundred yards north of where I camped, the West Branch of the Sacandaga River joins its main stream. I crossed the West Branch eight years ago while hiking the Northville/Placid Trail. That’s the subject of my book. How strange to be so close to that wilderness experience yet so far away. Adirondack wild country and the web of roads and towns superimposed on it are two closely related yet entirely different things. I’ve come to know the latter quite well during my 14-month book tour. The folks attending my reading at the Northville Public Library the night before asked me all sorts of questions. I did my best to answer their questions as honestly as possible, but can’t help but feel like I failed them as far as conveying the essence of deep woods goes. I sometimes wonder if my book is any better at that. The Adirondacks are a vacationland for most people – a playground you could say. That’s a good thing. Any exposure to the natural world is good for the soul. That said, I wish I could relay the deeply religious sentiments that stir within me whenever I roam a wild forest, and inspire others to experience the same. But words only go so far.